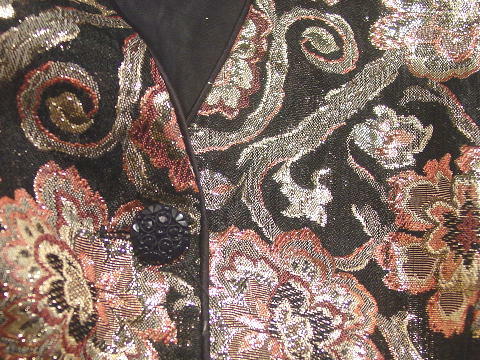 This evening jacket is 88% rayon and 12% metallic, and it has a full black 100% acetate lining. It is by Scott McClintock. 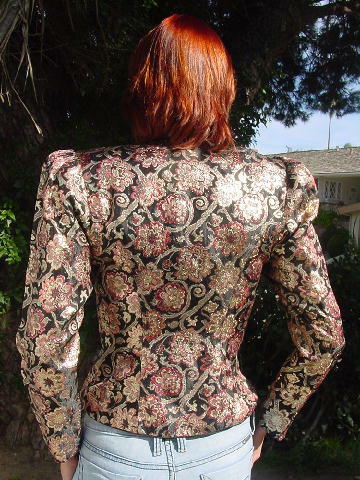 There is an 8 3/4" deep V neckline, shoulder pads, and long sleeves. It has four black plastic elevated design buttons down the front. 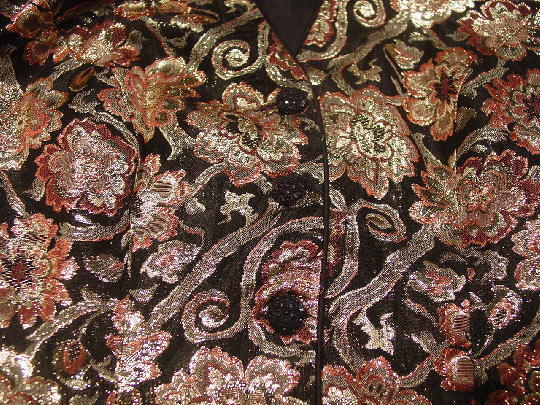 There is a metallic thread floral pattern in gold, pale cherry, and black. It shines more and looks better in person. shoulder to hem 20 1/2"